In today’s competitive business world, an employee can have multiple roles and responsibilities. As a result, the lines between different job roles are blurring. The best example of that are product manager and project manager. With only two letters separating these two words, you can easily get confused between the two as many people are. After reading this article, all your misconceptions will be cleared. Let us analyze both words separately to make things clear. A “Product” can be defined as anything that is offered to the market to satisfy customer needs while “Project” is a set of inter-related activities undertaken to create a product or service. One of the key differences between a product manager and project manager is their role. The role of product manager is to manage the complete lifecycle of a product from start to finish. Ensuring the delivery of flawless product to customers is an important part of product manager’s job role. In addition to this, he also focuses on preparing customer strategy. On the other hand, a project manager’s job revolves around the project. There are instances when project manager have to handle multiple projects simultaneously, which is not the case with product managers. The goal of project manager is to ensure that a project is completed efficiently and ticks all boxes when it comes to fulfilling client’s requirements. Simply put, a project manager is focus on risk management while a product manager is more inclined towards delivering value to customers. Product managers take care of both internal and external matters while a project manager is only restricted to internal environments and should not worry about external entities. When it comes to job responsibilities, product managers and project managers are poles apart. A project manager is responsible for setting the scope of the project, efficient management of resources and dealing with risks and issues that comes during the project. It covers everything from meeting deadlines to completing the project inside the preset budget. With efficient online project management tool and reliable online project management system at their disposal, fulfilling these responsibilities is not a problem for them anymore. On the contrary, a product manager is mainly responsible for making a product strategy, setting product features and managing product releases effectively. A product manager works in synchronization with all the departments such as engineering or manufacturing, marketing, sales etc to come up with a perfect product for customers. It varies greatly from organization to organization but a product manager is usually responsible for product launches and delivering presentation to define products and its features at different forums. On the other hand, a project manager is usually responsible for managing projects effectively covering every aspect from scheduling to finances. Another major difference that differentiates project managers from product managers is the framework. A project manager’s framework differs greatly from that of product manager. Project manager initiates the project, make a plan, execute the plan, monitor progress and close the project. Contrary to what the project manager does, a product manager has to come up with an idea, prepare a plan, develop the product, launch the product at the right time, deliver the product to the customers and dispose the product when needed. What makes the job of a product manager even more complex is that he repeats the process followed by project manager for every phase. For instance, a product manager has to make a plan, execute the plan, track progress and close at each phase from conceiving the idea to retiring the product. A product moves through product lifecycle and a product manager must take action according to where their product lies in the product lifecycle graph. Although, there are differences between product manager and project managers but both plays an important role in success and failure of a company. Do not be surprised if you see both roles being performed by a single person. 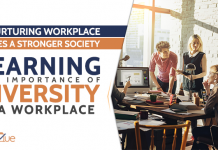 In some cases, they work closely with each other to achieve organization’s objective. They both perform unique functions and have specific goals. Some organizations combine both roles and have a single manager to oversee everything. Additionally, there roles and responsibilities differs greatly from one another. Whether it is a product manager or project manager, both plays a critical role in success and failure of a business. After reading this article, you can clearly be able to differentiate between a project manager and product manager. Apart from that, you can also tell what their job roles and responsibilities are. 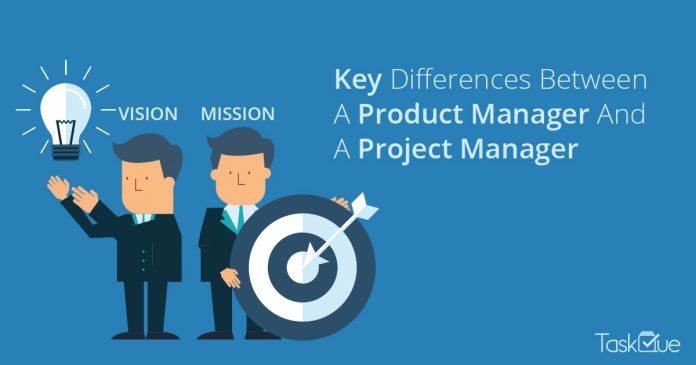 I hope this article have helped you in knowing the difference between project and product manager. Let us know about your opinion in comments section below. Next articleHow Much Time is Required For PMP Exam Preparation?